There’s nothing quite like the joy of owning your first boat. Instead of having to be a guest on someone else’s vessel or taking the wheel for a bit, you are now in control. You’re in charge, what you say goes. There’s a freedom that comes with it. That freedom is exciting but it’s also a responsibility. In many cases, you’re going to want a Canadian ship registry. However, that initial registration will be different for different kinds of vessels. It may all sound a bit confusing, but it doesn’t have to be. In this blog, we’ll go over who needs Form 1 – Application for Registry as well as who doesn’t. There are folks who legally have to get this kind of registration for their vessel. They don’t have a choice; they literally have to do so to be in accordance with the law. You have to get this if you have a commercial vessel that’s more than 15 gross tonnes. Rarely does anyone use the word “tonnes” anymore. This is the kind of thing that you do have to get measured. As a good rule of thumb: if your vessel is more than 10.5m in length, it probably is over 15 tonnes. Note: this applies to commercial vessels as well as government-owned vessels. Does the vessel require a marine mortgage? If so, then you do have to get this registration. You will also have to get this kind of registration if you plan on traveling on it outside of Canada for an extended period of time. Obviously, the follow up question is: “what’s an extended period of time?” This is one of those questions that we strongly recommend you call us about. This depends, and what’s “an extended period of time” to one person might be “a short jaunt” to another. Should you have any questions about this, don’t hesitate to contact us about it. Even if you don’t have to get this registration, you can choose to get it for your pleasure craft. 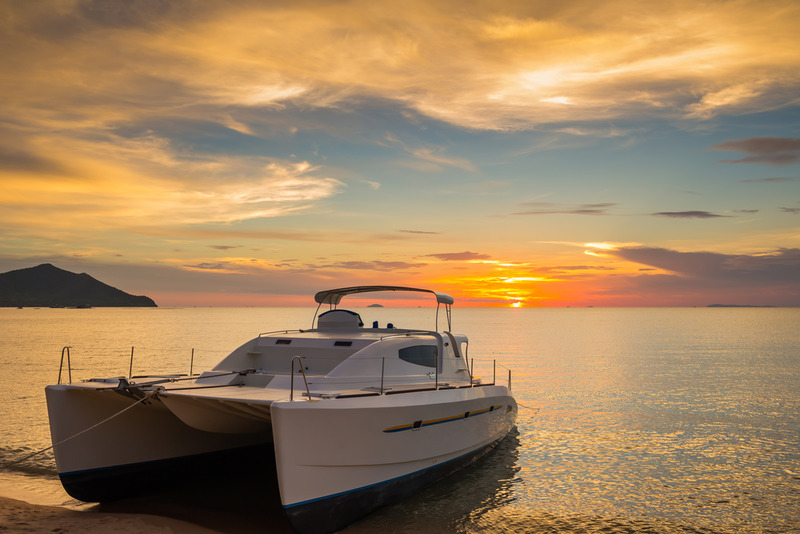 You may ask: “why would I want to go through all of this for my pleasure craft if I didn’t have to?” You can get an approved name for your vessel as well as an actual port of registry. Those can come in quite handy, particularly if you’re traveling. On top of that, they make for a great, ironclad and easy way to show proof of ownership. When you show your registry certificate, they’ll be no question whatsoever that you own your vessel. Some of you may have commercial vessels that are less than 15 gross tonnes. Many of them do have to get a registration, but it’s not the same one. If you have a commercial vessel that’s less than (or equal to) 15 gross tonnes that also has a 10 horsepower or more propulsion engine, then you have to get what’s called a “Small Vessel Register.” Yes, you can also fill out this form at our site. This also applies to government-owned vessels, albeit ones that also have propulsion motors of 10 horsepower or more. That being said, you don’t have to get this kind of registration if your vessel has no mortgage and never will. You also don’t need to get it should you decide to forgo an official name or traveling outside of Canada. These rules may seem like a bit of a pain to be in compliance with. After all, you didn’t buy your own vessel so that you could spend all of your time filling out forms. Of course, that’s where we come in. With us, you don’t have to take hours to fill out these forms. Instead, you can come to our site and fill them out quickly and properly. See, in the past, if you filled out a form and even the slightest thing was incorrectly marked, the form would be sent back to you. Then, you would have to go through the entire process all over again. Of course, by the time you were doing this, it was more time spent without you having the proper registration for your vessel. Now, you can fill your forms out with us and submit them online. When you do, they’ll go through our professional document processor team. They’ll find if there’s any small, tiny errors, and then fix them accordingly. That way, there’s no chance that typos or anything like that will keep you from your vessel. Documentation can be a bit confusing when it comes to vessels, but it doesn’t have to be. If you have any questions, just fill out the form at our site or give us a call at (800) 419-9569.